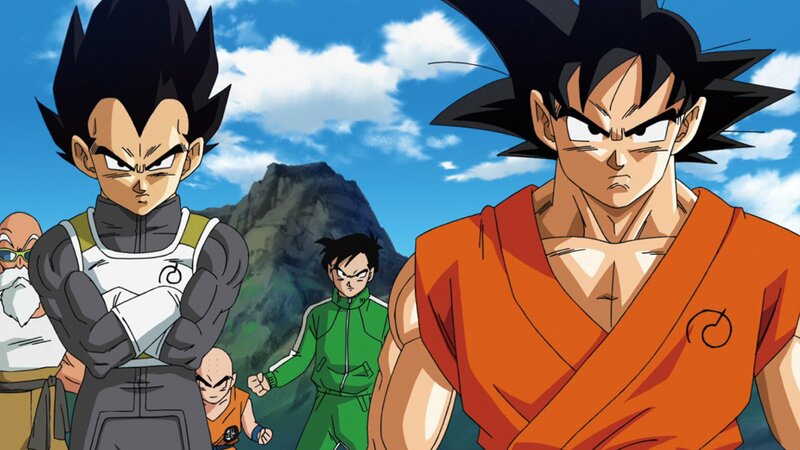 If you planned on skipping the UK cinematic release of Dragon Ball Z: Resurrection F then you may wish to reconsider as Manga Entertainment UK have announced, via Animatsu Entertainment’s Chief Operating Officer, Jerome Mazandarani, that the DVD and Blu-ray release of Dragon Ball Z: Resurrection F has been pushed back to an undisclosed date. The reason for this delay is quite simple; the film is being shown in too many cinemas across the UK and it must now agree to the ‘cinema-to-home-video’ release notification, as Jerome Mazandarani explains in a statement on the official MangaUK website. I’d like to thank the UK Dragon Ball Z fan community for their amazing support and enthusiasm for the theatrical release of Resurrection of F. Because of you, DBZRF is going out on more screens on its initial opening than any other anime film ever released in the UK previously. That’s an amazing accomplishment. However! Because of the unprecedented demand for cinema showings across the country we will have to push back the UK home video release. One of our retail partners has today notified its customers of a date change. This is not the final date that has been decided. We are currently working very hard to find a new street date that satisfies not only the retailers and theatrical exhibitors requirements, but which also doesn’t cause you guys to have to wait any longer than necessary for it on DVD and Blu-ray. Marketing and selling anime is a tricky business as a lot of you know and we are lucky that our audience is especially patient and supportive. I don’t think many other companies can claim the same thing. I really hate disappointing you and I can only apologise for any confusion that’s been caused by today’s events. We will announce a new home video street date imminently and we will work our butts off, as always, to ensure it is as soon as possible. Thank you so much for helping shape the UK theatrical release of DBZRF and enabling us to get it onto an unprecedented number of screens. This result means that if you are a passionate DBZ fan who wants to see the movie on a local screen, you probably can. That makes me happy. I apologize for any disappointment and inconvenience the home video date change announcement has caused you. Please stay tooned for further announcements from @MangaUK. Meanwhile! Enjoy #DBZRF in cinemas, nationwide from 30th September. In short, Manga UK now have to wait slightly longer than previously planned before being able to release the film on DVD and Blu-ray and it’s also why anime distributors tend to avoid wide-cinematic releases. As it stands Dragon Ball Z: Resurrection F will be released on DVD and Blu-ray within the UK but there is currently no release date confirmed. You can however still pre-book tickets for it’s cinematic release on the official Dragon Ball Z: Resurrection F website.